Before downloading the Desktop image of Xubuntu 16.04 take a look at these pictures. 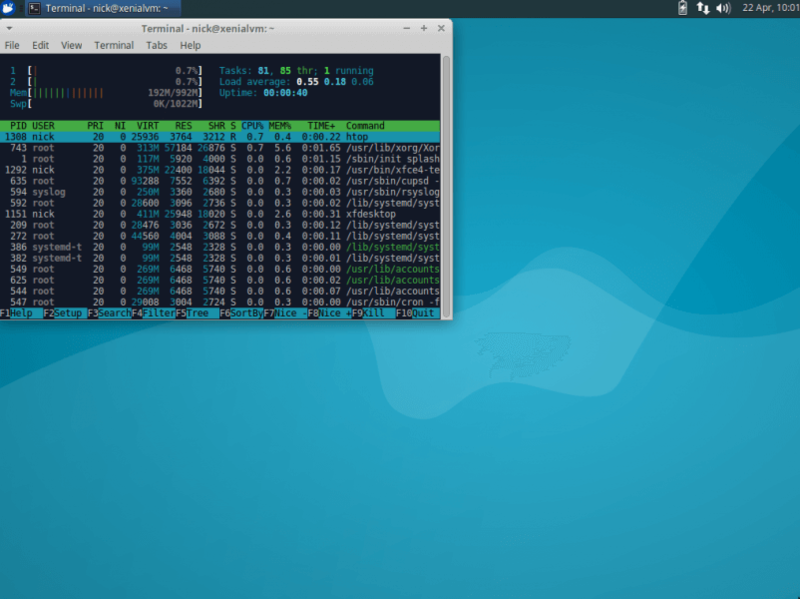 This is the full Xubuntu Desktop 16.04 Xenial iso. Just after the first boot. This is the mini.iso with Xubuntu Minimal installed. Notice the lower RAM usage of the Minimal installation. First boot as well. I have a notebook with 8 GB of RAM but this isn’t a good reason to waste it. I think the Minimal Xubuntu 16.04 is a viable alternative, especially if you want to have proper control over the software you want (or don’t want) on your system. Fired up a couple of identical Virtualbox VMs. Installed the systems using their respective ISO images. To get the Xubuntu Minimal Setup you have to download the mini.iso and run the setup. After a few questions about localization, keyboard, download mirror locations and so on, you’ll be asked to select what software you want to install. Make sure you keep the selected core stuff but also check the Xubuntu Minimal for installation. If you check the Xubuntu Desktop entry, instead of the Minimal, you might get the “heavier” version regardless of this whole mini.iso procedure. Note that you need an active internet connection to download the required packages while installing the OS.